This May/June we had the pleasure of visiting Iceland. 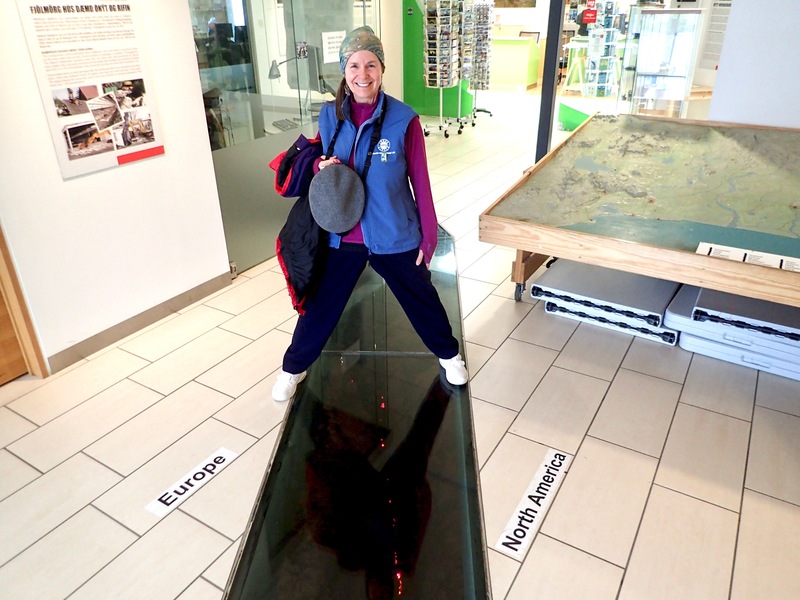 It had been on our short list to visit since our interest was sparked by reading articles in National Geographic and viewing PBS documentaries describing the amazing volcanoes, glaciers and the stark natural beauty of this far North Atlantic Island. We decided to join a tour. Our local guide was perfectly suited to introduce us to his beautiful country having a long history of eco-tourism leading horse trips crossing the country. 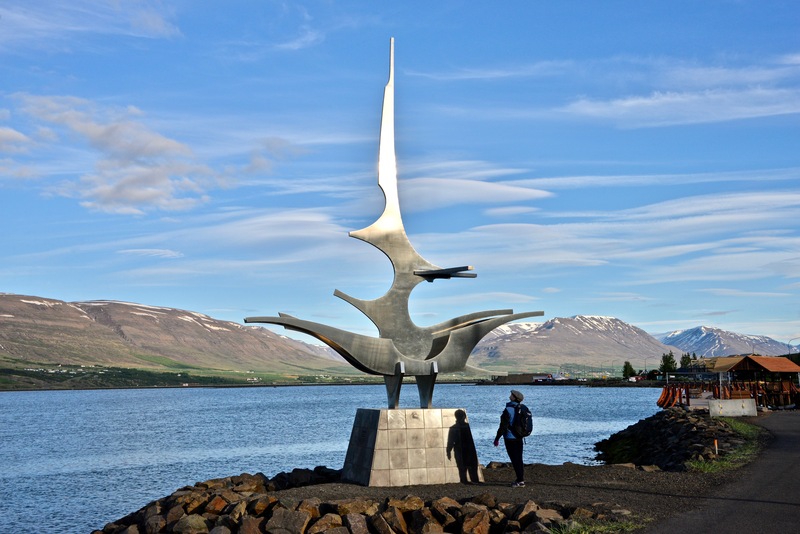 We benefited from his deep understanding and ability to present the complex Icelandic socio-political-economic history, and he enthusiastically introduced us to rich Icelandic culture –particularly the literature and visual arts. We were impressed with his knowledge of flora, fauna, and geology - particularly volcanology and glaciology. the surface means Icelanders can enjoy tapping into the hydrothermal steam vents and hot water pools to generate electricity and to heat their homes and even heat their streets during winter to keep them from freezing. 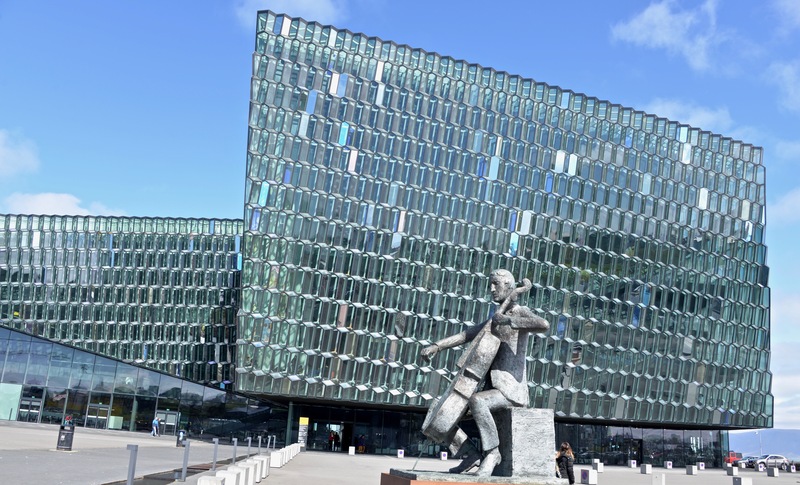 and the brand new strikingly modern Harpa Concert Hall. The buildings and homes were often colorfully painted and decorated. north coast learning about the life of original Viking Norsemen and women settlers who came to Iceland in the 9th and 10th century C.E. – their stories are well documented in the Book of Settlement. They were fleeing the tyranny of the Norwegian King who demanded tribute and fealty. We encountered several examples of the turf houses including a reconstruction of the house in which Leif Erikson grew up. We visited a farm where they specialize in processing the carcasses of Greenland sharks that wash ashore to produce the national dish “fermented shark”. We were given the opportunity to taste this somewhat stinky “delicacy” – it involves pinching your nose, eating the shark meat with a bit of bread, followed by a quick shot of brennivín (local akvavit). In Akureyri we experienced whale watching, fishing for cod, viewing seals on the beach, experiencing hydrothermal vents, mud pots, and boiling water lakes. In southern Iceland we visited the historically important At Þingvellir (pronounced “Thingvellier”) - literally "Parliament Plains" – the place where the country’s general assembly was established around 930 CE. It is considered the earliest example of a governing parliament in the world. We also visited beautiful black sand beaches and saw puffins nesting on the cliffs. 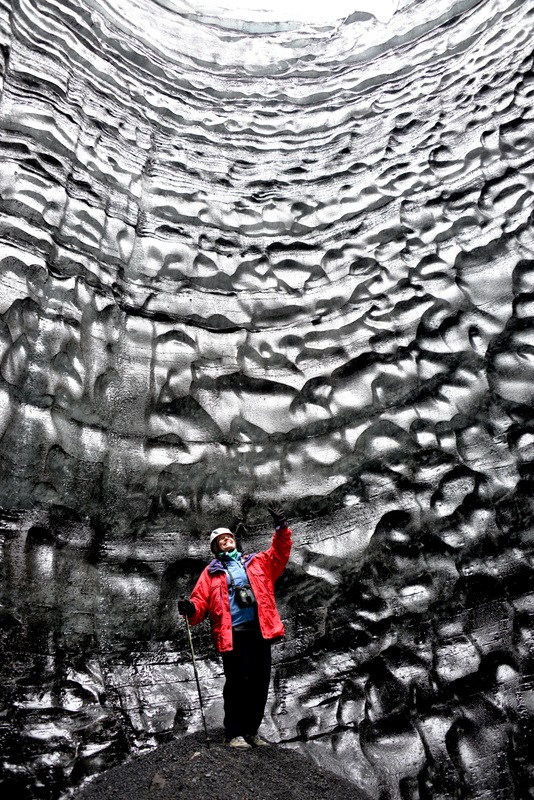 Other highlights included walking into a natural ice chamber inside a glacier and immersing ourselves in the Blue Lagoon hot springs. 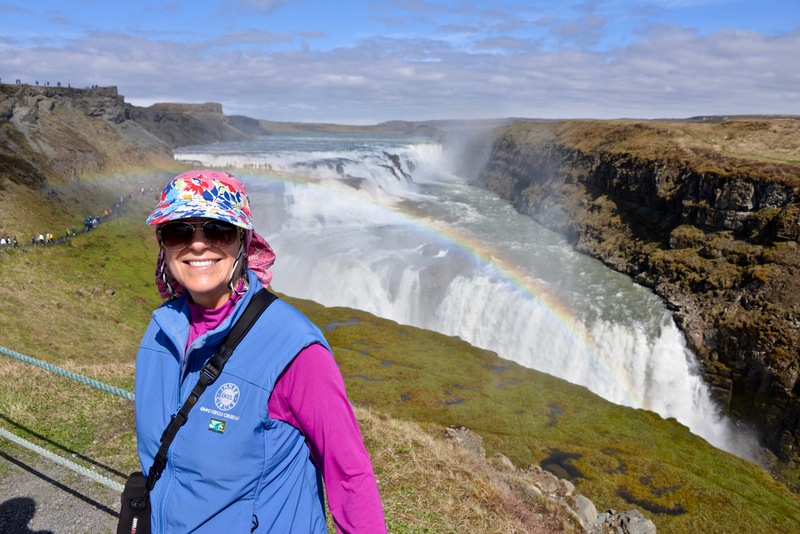 Our short visit to Iceland left us wanting to see and experience more of the country and its people and perhaps even do a winter visit to catch the aurora borealis! Carol Ede - Cruising in the Baltics! Client Adventure: Girls' trip to France and England. Client Adventure: The Smiths take on Ireland & the United Kingdom! Client Adventure: Wet, Wild, and Gorgeous! Memory Lane: Virginia Roth Returns to Africa! Client Adventure: The Flayers Go Cruisin! Client Adventure Featuring Mike and Jamie Buettner!!! Client Adventure: Bill and Joan enjoy a ''Jam''-packed cruise!